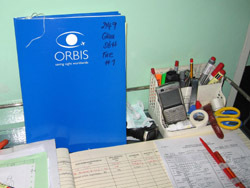 The second day of ORBIS was devoted to surgery. 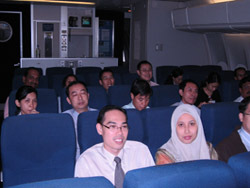 Two theatres were running concurrently. 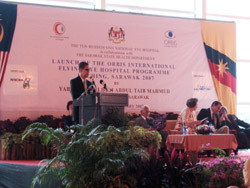 In the eye theatre of the Sarawak General Hospital, Dr. Salim from the USA demonstrated various surgical techniques in glaucoma management. 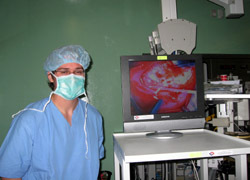 The trainee was Dr. Mahadhir Alhady. 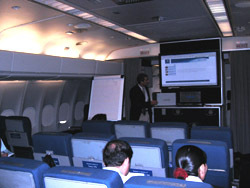 In the ORBIS plane, Dr. Güemes of Argentina demonstrated the various techniques of strabismus surgery. 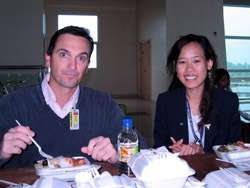 The trainee was Dr. Chieng. 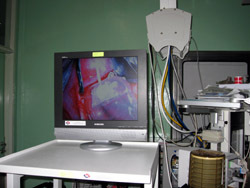 All surgery were recorded for teaching purposes. 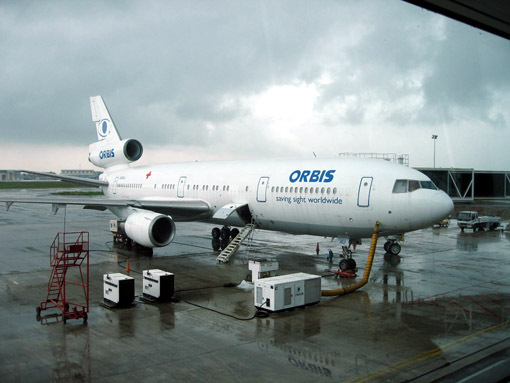 ORBIS at Terminal 9 of the Kuching International Airport. 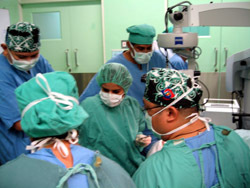 Dr. Salim performing Ahmed valve insertion with Dr. Mahadhir in Sarawak General Hospital. 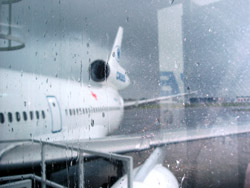 Raining on the way to ORBIS plane. 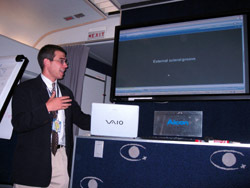 Dr. Hunter explaining ORBIS telemedicine. 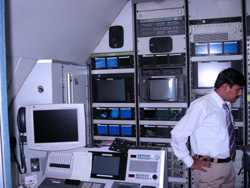 Video editing room inside ORBIS. 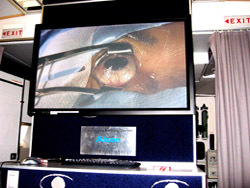 Audience inside ORBIS watching life surgery. 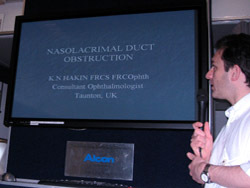 Dr. Hakin giving a lecture on oculoplastic surgery. Staff nurses from SGH and ORBIS. 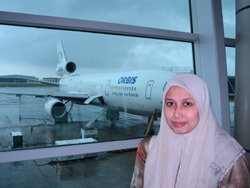 Registration for ORBIS opening ceremony in Kuching International Airport. 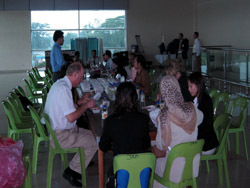 Optometrist from Sarawak General Hospital helping with registration. 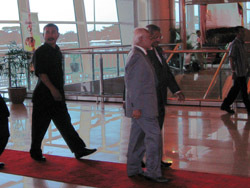 Red carpet welcome for the Chief Minister of Sarawak to the ORBIS Opening Ceremony.